Members of new and emerging communities are helped a variety of ways at MCCSA. If they are a member organisation of MCCSA they are able to use our hall and training room for free. 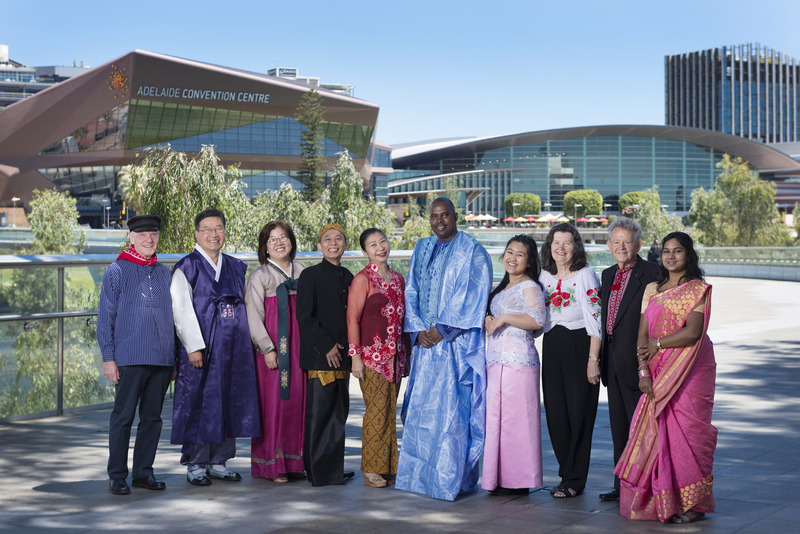 There are a diverse range of groups that take advantage of this including Miss Africa, Buena Amistad, Council for Women of Diverse Background, Pakistani Australian Association and Armenian community (including Armenian-Syrian refugees), Indonesian Lansia , ALCASA, IWOSA, and Kapamilya. Without access to our free resources, many of these groups would struggle financially to sustain their valuable community activities. Staying connected to your community can have multiple benefits for people from overseas who speak a language other than English. For those with limited English skills it can be a valuable opportunity to socialise, speak your own language and stay in touch with your culture. Information also flows through these groups so that everyone need not repeat the same steps in learning to adapt to Australian life but can learn from others. The groups can teach new skills, have fun, be a focal point for your community, help your elders and draw on each other’s strength and resilience. We support both multicultural and ethno-specific groups in this way. New and emerging communities wanting to develop skills and build their own capacity are enthusiastic members of our ‘Successful Communities’ program which provides practical support to people within vulnerable and emerging culturally diverse communities . Our Reconnect program assists young people from a culturally and diverse background aged 12-18 who have recently left home or are at risk of leaving home and require support. We work with young people and their families on complex issues, which can lead to youth homelessness and can identify emerging social, emotional and mental issues in young people. Our youth workers deal with young people from a broad range of cultural and linguistically diverse backgrounds. MCCSA is running weekly “Expression Sessions” program at the Kilburn Community Centre for high school aged participants from CALD backgrounds at risk of disengaging from school and community. These sessions use expressive arts to engage and connect young people to positive life influences, including the local community. Anti-social activities, poor local relationships, poor outcomes have been identified as issues for young people in this region. We had a pilot program ‘Kick-starting Childhood Success’ which helped parents in Korean and Middle Eastern communities. This program was run for mothers of 0-5 year olds . It helped newly arrived mothers from Middle Eastern and Korean communities with children aged 0-5 years find out all the things they need to know to help their children succeed at school. By linking them to early childhood services the program supported improved access and awareness about services for children and their caregivers. Following on from Kickstarting Childhood Success MCCSA has started two playgroups during term-time for children 0-5. There is a Korean speaking playgroup and a multicultural play group. MCCSA holds forums and workshops on topics of interest to communities to help them stay better informed about life in Australia and be part of the community so that they can have their say. A recent example of this was our Transforming Health forum where people learnt about the upcoming changes to the hospital system. This will be followed by tours of the new Royal Adelaide hospital so that people can learn more about this facility and understand some of the innovations it will contain. MCCSA staff also undertakes consultations in diverse range of areas to better understand the needs of new and emerging communities. Reference to some of these can be found in our resources section along with useful links to help you find information you may need as a new and emerging community and information on domestic violence. We have four community buses with volunteer drivers which can be hired for a low cost. If communities want to get out and about and be part of South Australia and but lack transport they can consider using our community buses. We also have events which new and emerging communities and individuals are invited to attend, such as SALA exhibitions Youth Expos, refugee week celebrations, and our Harmony Day picnic.